As much as I love oysters, they can empty your wallet pretty quickly at the average $2 a pop they run around town. Thankfully my favorite place to slurp down a tray, Hank's Oyster Bar, recently launched a $1 oyster happy hour. 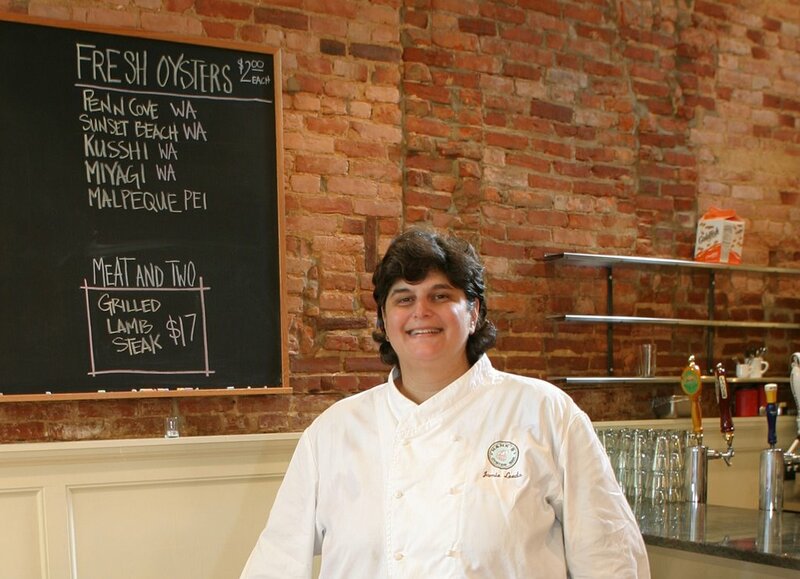 From 5:30-6:30 p.m. Sunday through Friday, chef Jamie Leeds (above) is serving oysters for $1 apiece. The deal will run through February. Wash back a dozen with a pint of Allagash White, new to the taps at Hank’s, or one of the bar's wintry cocktails, like a Spiced Pear Hot Toddy, made with Poire Williams, fresh ginger-infused Gosling’s, five spice simple maple syrup, a splash of fresh lemon sour and hot water ($11). I've only been to the SW market a couple of times, but I wonder where their oysters are from. Call me pretentious, but since they're filters and all, I'm partial to the West Coast for oysters. I love the SW Waterfront market, but their oysters are TERRIBLE. Very fishy, not creamy at all, and pretty shallow. I guess I should have specified that I meant the average restaurant price is about $2 apiece. Old Ebbitt happy hour: half-price.